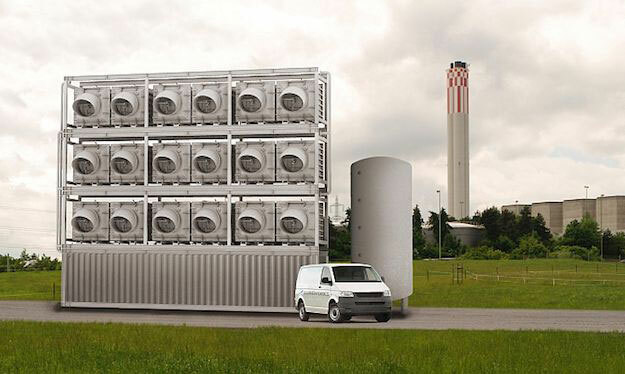 A company in Switzerland will capture carbon dioxide from the air ... and may make a profit. This spring, the world’s first industrial scale facility to capture carbon from the air is scheduled to start operating in Switzerland. The plant uses carbon dioxide collectors that pull air inside and across reusable filters, resulting in pure CO2 gas that can be sold for industrial use, for example to soft-drink makers for carbonation. Dominique Kronenberg is COO of Climeworks, the company building the new plant. Capturing carbon from the air is harder than directly from a coal plant, and the process uses a lot of energy. But this new technology can run on waste heat and electricity, so the company may have found a way to make carbon capture from air profitable. For now, this technology will not impact the climate since the carbon that is captured will be released back into the air by the end user. But Climeworks hopes to eventually use the carbon to create a synthetic fuel, providing a new way to power vehicles without burning additional fossil fuels. The project, backed by the Swiss government, hopes to have its first test results by June 2016. Reporting credit: ChavoBart Digital Media/Pam Memmott. 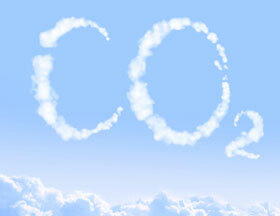 Photo: CO2 clouds image (copyright protected). Climeworks CO2 capture plant (source: Climeworks website). Is 3.5 C of Arctic warming 'locked in'? Why a climate scientist biked across the U.S.